For the most part on this blog I stay away from discussing individuals, both because it makes me faintly uncomfortable to talk about strangers on the internet, and also because I don’t necessarily know their lives. I don’t want to say “Man, Jimmy Nocomp did really poorly at the LVO, way worse than expected.” Maybe Jimmy had a rough month at work, and couldn’t get in practice games. Or was feeling sick, or whatever. Just doesn’t feel like my place. So let’s talk about Adam Abramowicz. Note: There has been a correction to this article based on a coding error, but the results don’t substantially change. Before we go on, I want to make something clear – I talked to Adam about this article, and what it was going to say, before I even started writing it, and asked his permission to talk about it. Adam’s an interesting guy, because thanks to The Best General podcast (see my interview with him here) he’s trying to beef up his game to win Warzone Atlanta 2018 in a very public and very introspective fashion. 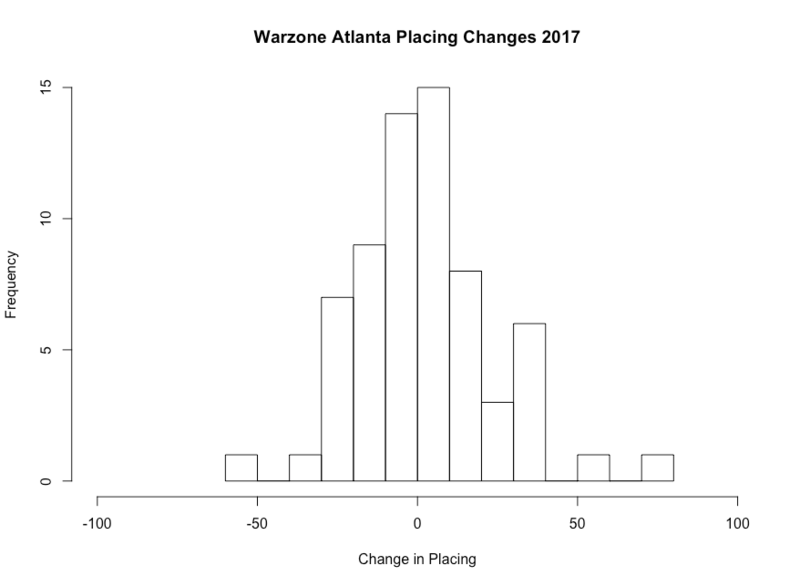 And after working on the breakdown of Warzone Atlanta 2017, and noting how well ones current placing predicts your future placing, I started musing about how to forecast Adam’s chances a year out. If you’ve listened to his podcast, you’ll know he’s not thrilled with his 60th place finish this year – some things went wrong that are, potentially, some low-hanging fruit to pick up more battle points next year. But just how extreme a jump is going from 60th to 1st? Fortunately, we have old WZA results to look at. This is the distribution of all place-changes going from 2015 to 2016, and from 2016 to 2017. Now, because lower places are better, what you want is negative numbers – going from 20th to 10th is a change of -10. Basically about the same, though a little more broken due to the smaller sample size (66 people vs. 115 people). 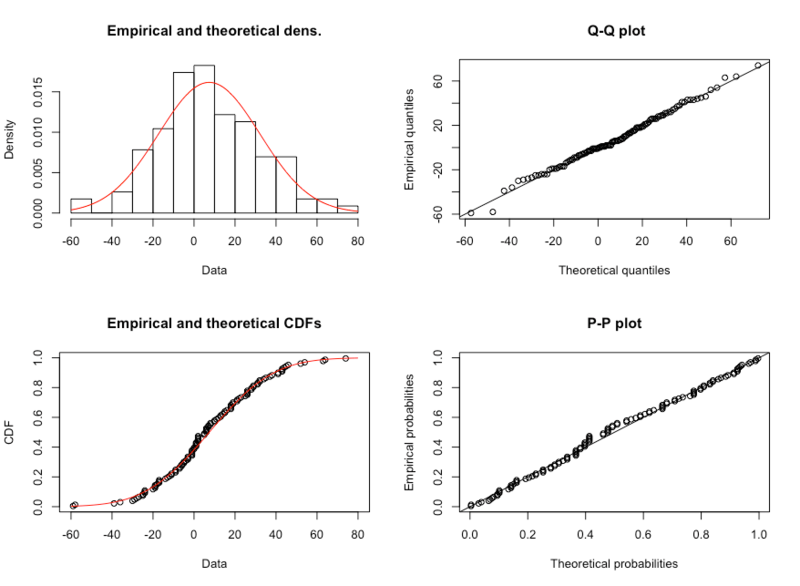 These are nicely normal distributions, which makes sense – because there are a fixed number of places, in order for someone to go up someone else has to go down, and it seems reasonable to assume that players mostly fluctuate randomly around their “skill point” – mid-table players stay at the mid-tables, top tier players remain the top tier, etc. There’s some reshuffling as to where exactly in that tier you are, but by and large a big shift is pretty rare. Just from looking at this, you should get the feeling that yes, jumping 59 places is a tall order. But just how bad is it? I hardly ever get to work with normally distributed stuff, so this is exciting. Now, a last note for the stats nerds in the audience: Yes, there are ways to get this answer by just examining the properties of the normal distribution I just fit, and they’re arguably easier than what I’m about to do – but I find them a little opaque, and because Variance Hammer is largely a simulation-based blog, we’re going to simulate things. 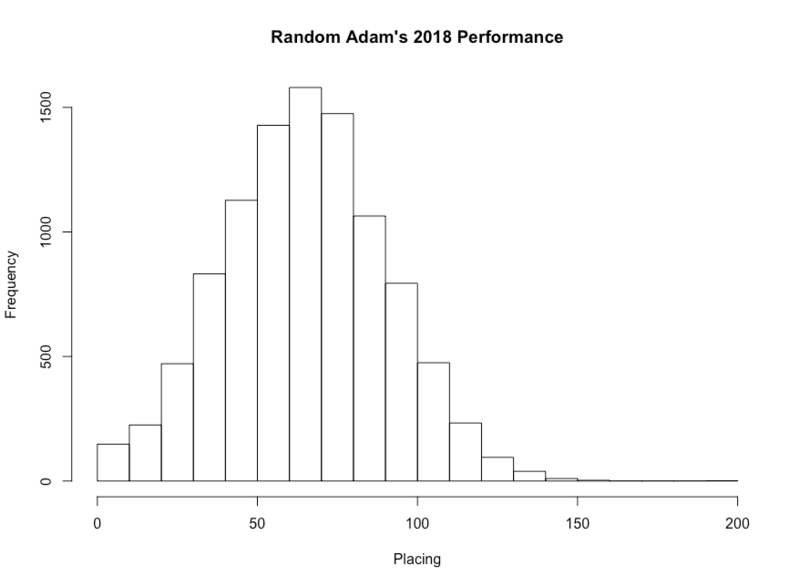 Basically, what we do is randomly simulate 10,000 draws from the hat – each representing the rise or fall in ranking for Random Adam in 2018, add that to his current placing (60th), and see where we get. Again, there’s a bit of rounding – if the draw from the hat is -65, instead of saying that Random Adam got -5th place (which makes no sense…) we round this off to 1st. 43 of the simulated draws result in a 1st place finish – that’s about a 0.4% chance of winning the tournament, and a 1.4% chance of a Top 10 finish. Now let’s consider a slightly more optimistic scenario – after all, Adam is actually working on improving his game, polishing his list, getting advice from the kind of people who do (and have) won a GT. 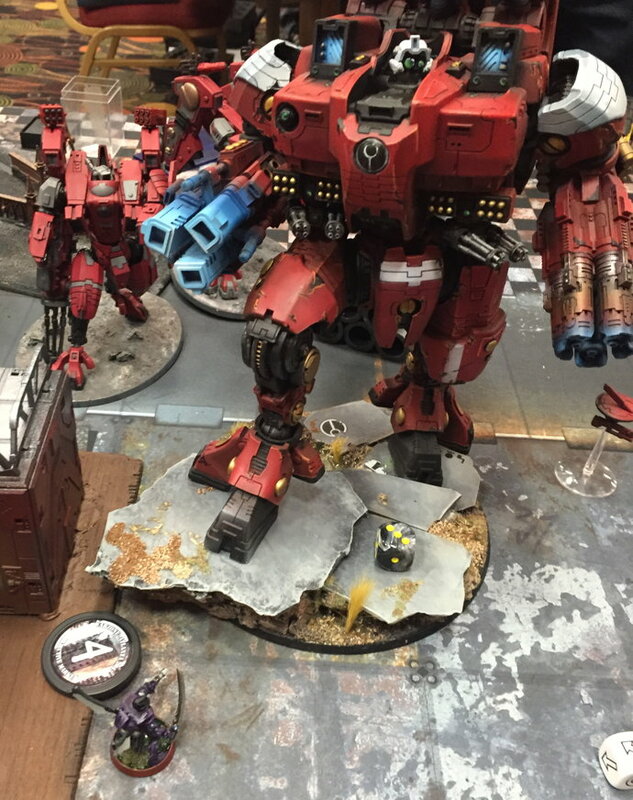 He’s not like those of us who are content to float on the ebb and tide of things like “The Eldar codex is really good right now” or “I got paired against a T’aunar Supremacy Suit my first game” as determining how we do in a particular event. Not great but better. His chances of a 1st place finish have risen to 1.36%, and his chances of ending up in the Top 10 now sit at 3.4%. There are some assumptions in this model that may not be true – notably that the population average change in placing has anything to do with the change that can be expected by someone making a determined run at the top tables in a systematic manner. 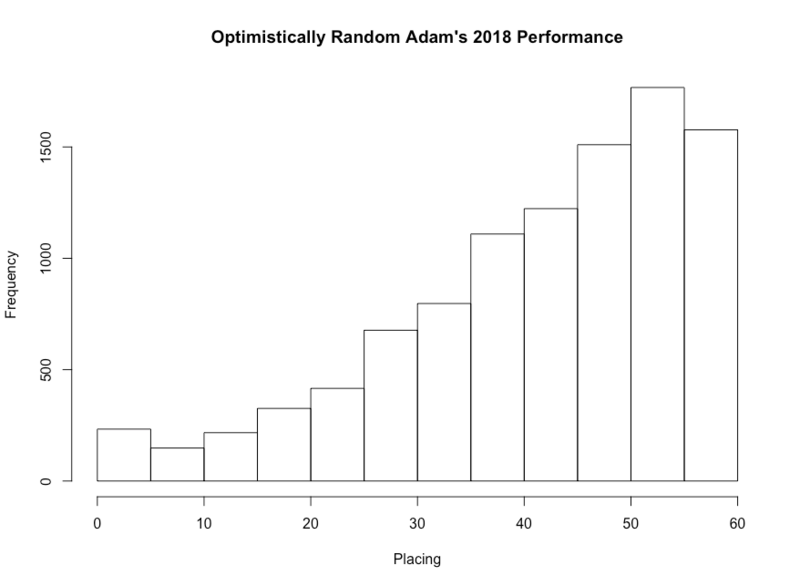 There’s also some flaws in the data itself – I haven’t adjusted for how many people were in each tournament, which means that Adam’s chances are likely slightly underestimated using this technique, because in 2016 there were simply less places to move. But there’s no real credible way not to recognize that winning Warzone Atlanta 2018 is a tall order given his previous placing. In the history of the tournament so far, there has been one person who has moved up 58 places between events, and no one whose made the full leap. If I was Adam, how would I react to this information? Besides calling me a nerd and kicking sand in my face? I’d say that long shots are still worth going for. 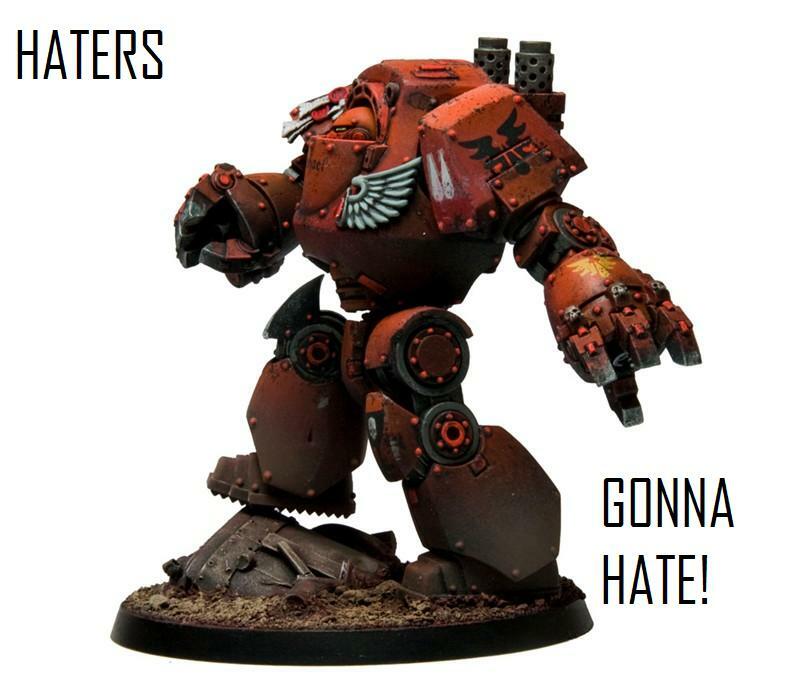 That the worst that comes from this is that you’re a better 40K player. I’d say that when it comes down to it, this is just a forecast, and there’s a lot of things that can change between now and then – and some dynamics that a fairly limited dataset really can’t account for. That there is something special about Adam Abramowicz. 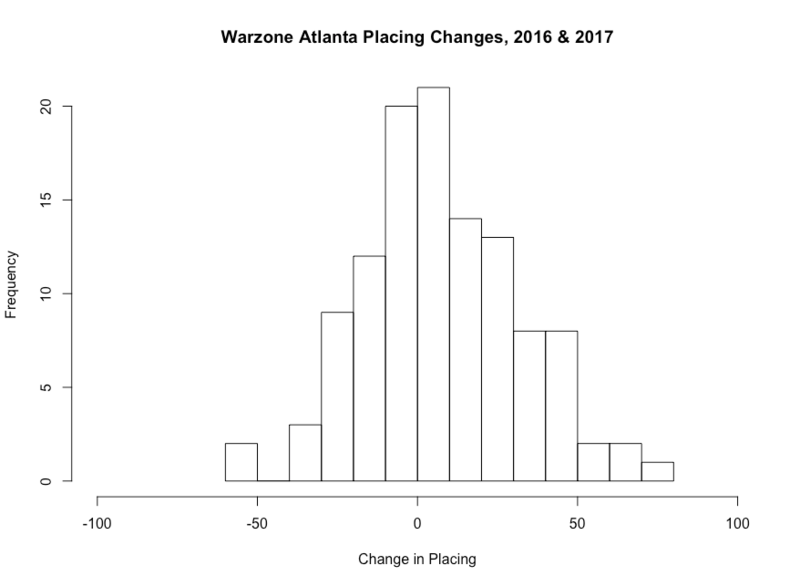 I’d say that it was time to make Warzone Atlanta history. And I’d say that the dice gods favor the bold. Go for it Adam. And good luck. Who is the person who moved up 58 spots? I know that I could just go and look it up myself, but I wager that you already have that answer. The answer is that getting your answer uncovered a coding error that I need to fix. Anthony Hinkle holds the record for both the biggest gain in placing and the biggest loss. That boy is all over the map. This was a phenomenal read. Bravo. Also, Best General is the best 40K podcast on the internet. So what you’re saying is Adam needs a training montage? Adam can do some blood (angels) doping by removing all the spent storm ravens and injecting freshly pointed fire raptors.